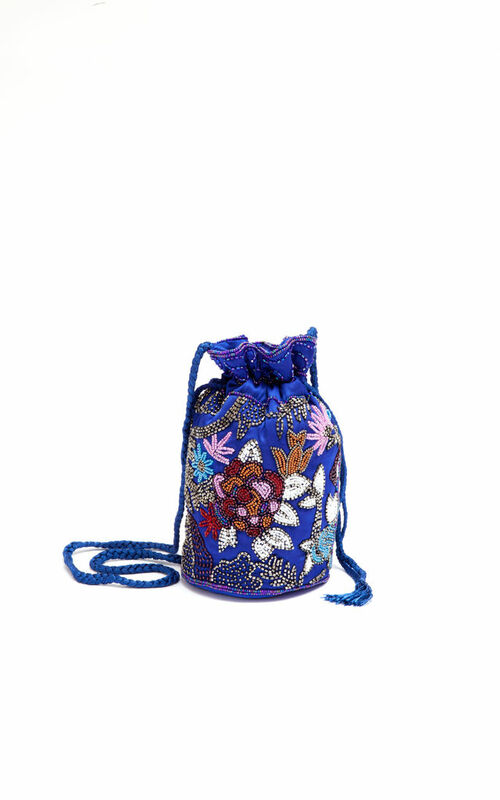 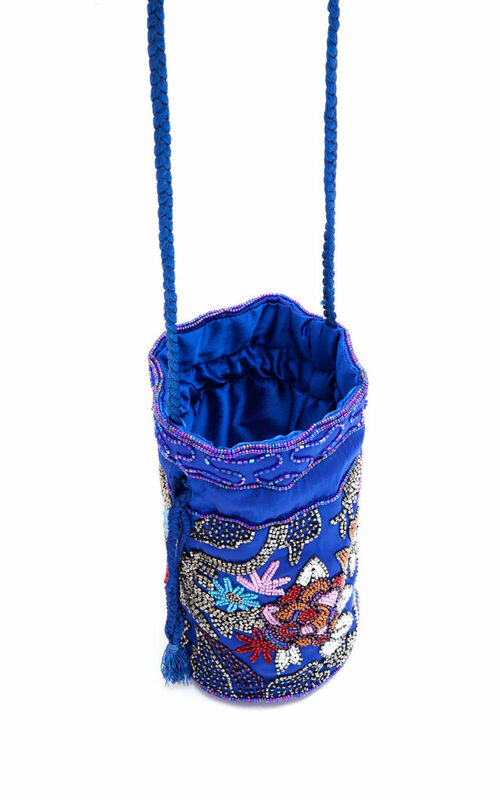 The 'Rio' pouch is made from a rich cobalt blue silk. The sapphire hue is complemented by glitzy pale pink, white, orange and red beads to create a standout, statement floral design. 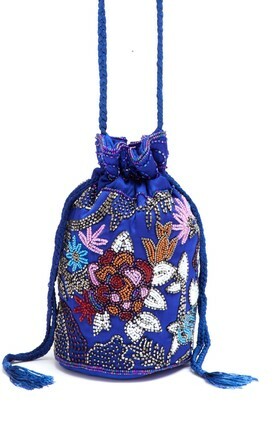 It can be worn as a cross body or around the wrist.